Proudly celebrating 21 years in business! We sell and professionally install a wide variety of electronics, restyling, and window film products for automotive, residential, marine, and commercial applications. This site only highlights some of the items. If you are interested in any of our products, or would like a free estimate, please call (330)405-9393. New Day Cleveland with Channel 8 was filmed at Summit. Roger was interviewed. Click on the picture below to watch. We have a great history with Alpine. Back in 2016 we were awarded the Alpine Flagship Dealer of the Year! A few years before that we were honored when Alpine designated us as a Flagship Dealer. 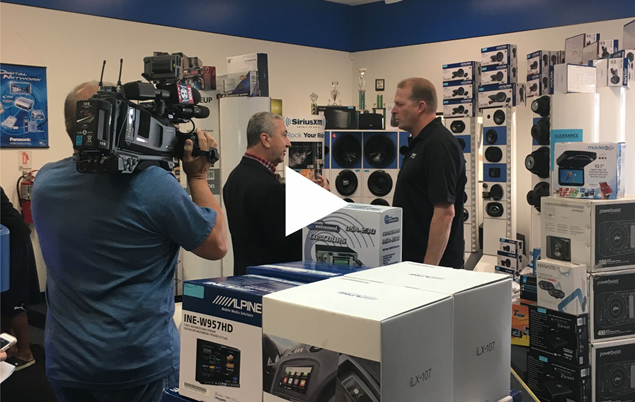 As an Alpine Flagship Dealer we have the experience you are looking for, and we are able give our customers a two year warranty on all Alpine purchased at Summit Sound. Visit Alpine to see all the products we have to offer. 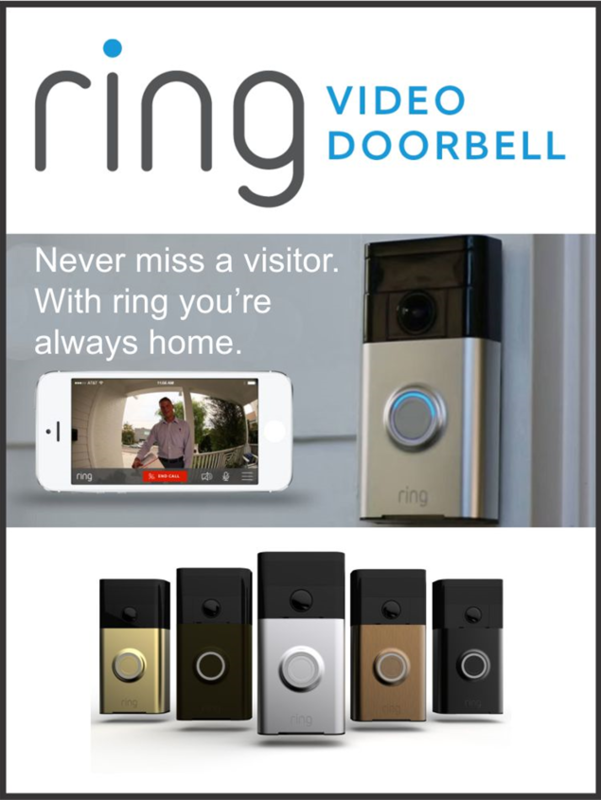 Give yourself peace of mind this year with a Ring Video Doorbell. We professionally sell and install Ring, and many other products such as outside floodlight cameras that are motion activated to help keep your home safe. Call us for a free estimate today. Did you know that Summit has expertise in networking? If your router needs to be replaced look no further, and leave it to the professionals at Summit Sound to get you up to speed. Your gamers and movie lovers in the family will thank you! We are proud to announce that we are designated as an Alpine Flagship Retail Specialist.